An Ordinary Transformer consists of two windings called primary winding and secondary winding. These two windings are magnetically coupled and electrically isolated. But the transformer in which a part of windings is common to both primary and secondary is called Autotransformer. In Autotransformer two windings are not only magnetically coupled but also electrically coupled. The input to the transformer is constant but the output can be varied by varying the tapings. The autotransformer is both the most simple and the most fascinating of the connections involving two windings. It is used quite extensively in bulk power transmission systems because of its ability to multiply the effective KVA capacity of a transformer. Autotransformers are also used on radial distribution feeder circuits as voltage regulators. The connection is shown in Figure 1 below. A current of I1 ampere flows through the winding between B and C. The current in the winding between A and B is ( I2 − I1 ) ampere. The cross section of the wire to be selected for AB is proportional to this current assuming a constant current density for the whole winding. Thus some amount of material saving can be achieved compared to a two winding transformer. The magnetic circuit is assumed to be identical and hence there is no saving in the same. This means that an autotransformer requires the use of lesser quantity of copper given by the ratio of turns. This ratio therefore the savings in copper. As the space for the second winding need not be there, the window space can be less for an autotransformer, giving some saving in the lamination weight also. The larger the ratio of the voltages, smaller is the savings. As T2 approaches T1 the savings become significant. Thus autotransformers become ideal choice for close ratio transformations. The autotransformer shown in Figure 2 above is connected as a boosting autotransformer because the series winding boosts the output voltage. Care must be exercised when discussing ‘‘primary’’ and ‘‘secondary’’ voltages in relationship to windings in an autotransformer. In two-winding transformers, the primary voltage is associated with the primary winding, the secondary voltage is associated with the secondary winding, and the primary voltage is normally considered to be greater than the secondary voltage. In the case of a boosting autotransformer, however, the primary (or high) voltage is associated with the series winding, and the secondary (or low) voltage is associated with the common winding; but the voltage across the common winding is higher than across the series winding. One of the limitations of the autotransformer connection is that not all types of three-phase connections are possible. For example, the ∆-Y and Y- ∆ connections are not possible using the autotransformer. The Y-Y connection must share a common neutral between the high-voltage and low-voltage windings, so the neutrals of the circuits connected to these windings cannot be isolated. A ∆ – ∆ autotransformer connection is theoretically possible; however, this will create a peculiar phase shift. The phase shift is a function of the ratio of the primary to secondary voltages and it can be calculated from the vector diagram. This phase shift cannot be changed or eliminated and for this reason, autotransformers are very seldom connected as ∆ – ∆ transformers. Autotransformer consists of a single winding around an iron core, which creates a change in voltage from one end to the other. In other words, the self-inductance of the winding around the core changes the voltage potential, but there is no isolation of the high and low voltage ends of the winding. So any noise or other voltage anomaly coming in on one side is passed through to the other. For that reason, Autotransformers are typically only used where there is already some sort of filtering or conditioning ahead of it, as in electronic applications, or the downstream device is unaffected by those anomalies, such as an AC motor during starting. The tertiary winding used in Autotransformer balances single phase unbalanced loads connected to secondary and it does not pass on these unbalanced currents to Primary side. Hence Harmonics and voltage unbalance are eliminated. Tertiary winding in the Autotransformer balances amp turns so that Autotransformer achieves magnetic separation like two winding transformers. Want to know about autotransformer starter for motor. Function , Selection parameters required for same to design for various motor ratings. PLEASE HELP ME TO CONNECT IT AS I WISHED..
Sir, What would be the phase voltages and line voltages of a 3 phase auto transformer on no load condition. Is there any difference in the voltages in any of the phases possible under no load condition . If any of the phases showing 0 voltage and other two phases showing equal voltages what would be the reason . please explain. Sir, I hv a transformer having primary 230V & secondary 24V,5 Amp rating. I want to use autotransformer to use it as a voltage regulator to control current flowing thru a HOT Nichrome resistance wire 24swg & 12′ to 15′ lomg& having resistance of 1.08 ohm/ft. Plz let me know the rating of Autotransformer & its connection circuit diagrame to enable to solve my issue. Sir, I hv a transformer of 230V primary & 24V,5Amp as secondary rating. 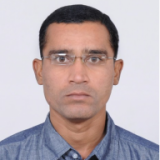 I want an auto transformer to be used as a voltage regulator as I want to control the current flowing thru the Nichrome Hot wire of 24swg 12″ to 18″ long & havibg a resistance of 1.08 ohms per ft.
Plz let me know the rating of Auto transformer to be used & its connection circuit diagram to regulate the current flowing thru Nichrome HOT wire. In Saudi Arabia the utility voltage is being gradually changed to the existing 220 V 3ph 60 Hz to 400 V 3ph 60 Hz by utility company SEC. I want to use a step-up transformer (about 500 KVA) 220/400 V 3 ph temporarily to do preparatory modification in the residential buildings in a complex (replacing/ modification of wiring, lighting,power and equipment etc) so that when SEC replaces its distribution transformer with 400 V the buildings are ready to accept the new system voltage. Two winding transformers are not locally available, if I use 3 ph Auto transformer star/star, common neutral grounded, is there any problem, please advise. I prefer dry type transformer to be located in the existing electrical room. is autotransformers used to boost a medium voltage distribution (20kV) utility line? if so, is it recommended in such appolication. The issue we have is that the local utility lines are always under voltage and thus cause lower than acceptable voltage drop in the low voltage distribution. Explain the working principle of differential relay in power transformer for internal and external fault? You’re posting to the wrong technical article. 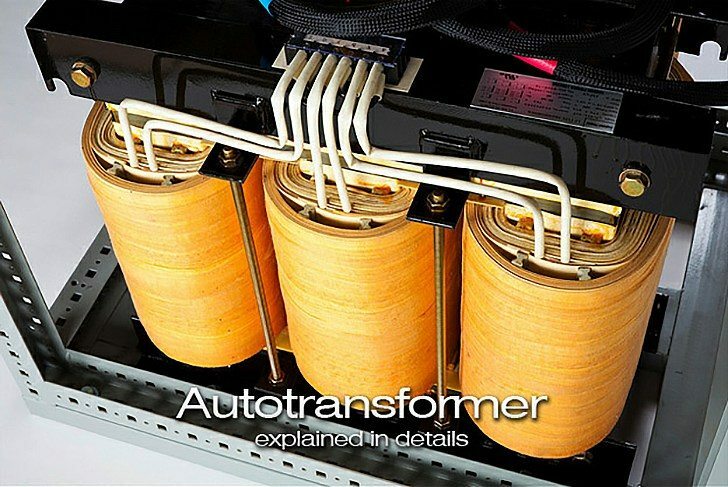 This is about auto-transformer. More information about differential relay try using search-box. how to design a buck boost transformer in servo voltage stabilizer?